When we think of 'home', we usually think of a place that's warm and fuzzy and cozy and safe. A place that's familiar. A place where we feel comfortable, where we belong, where everything feels good. 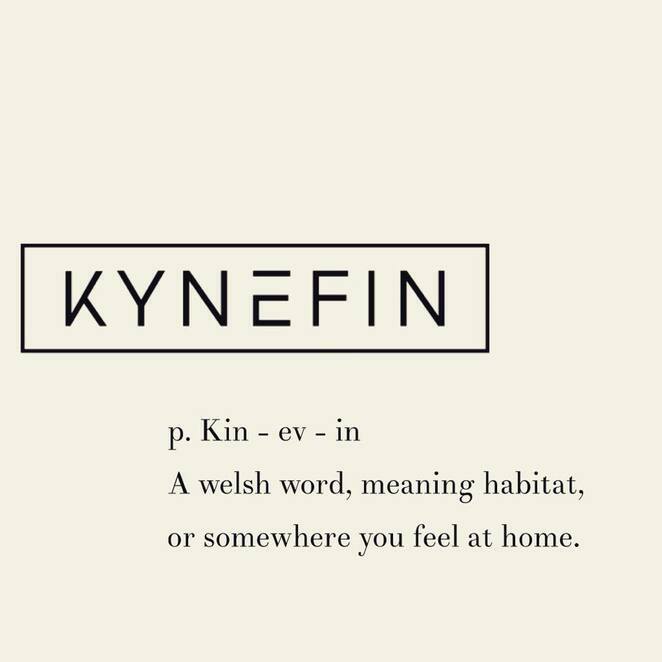 That's exactly what Kynefin café in Hall feels like from the moment you step through its doors. Kynefin (a Welsh word pronounced kin-ev-an and meaning habitat, or a place where you feel comfortable and familiar) makes homely food that makes you feel good. Good, wholesome food that's mainly made in house and that are sourced from local and free range ingredients. Such as the absolutely scrumptious vegan chilli with beans, quinoa, avocado & cashew salsa on sourdough. 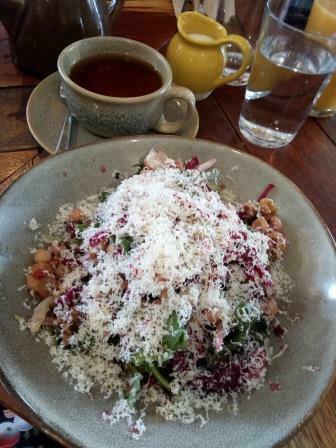 And the flavoursome salad with beetroot, goat's cheese, cracked freekeh, candied walnuts, roquette, fresh herbs and balsamic. Because Kynefin's owner/chef, Geoff, is British born, you'll find some British-influenced food on the menu such as crempogs (Welsh pancakes) as well as Cullen Skink (a smoked fish chowder) served with sourdough, and Cumberland-style sausage and borlotti bean stew with mustard, onion, celery, tomato and sourdough. 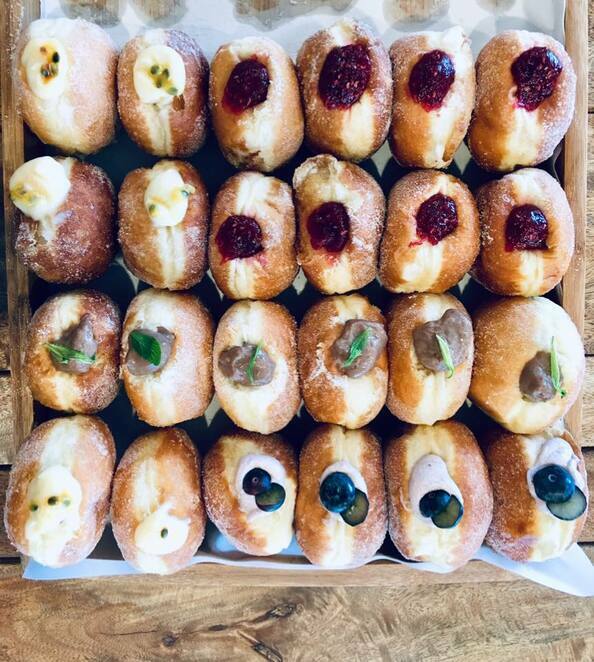 Kynefin is also famous for their very special Bombolini doughnuts, rated in the Good Food Guide as among Australia's top ten best doughnuts. These absolutely decadent morsels are made fresh in house daily. 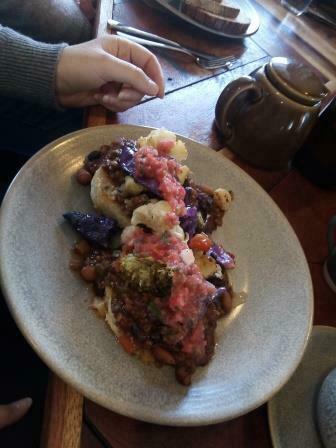 Kynefin café is located in the pretty, historic village of Hall on the outskirts of Canberra. 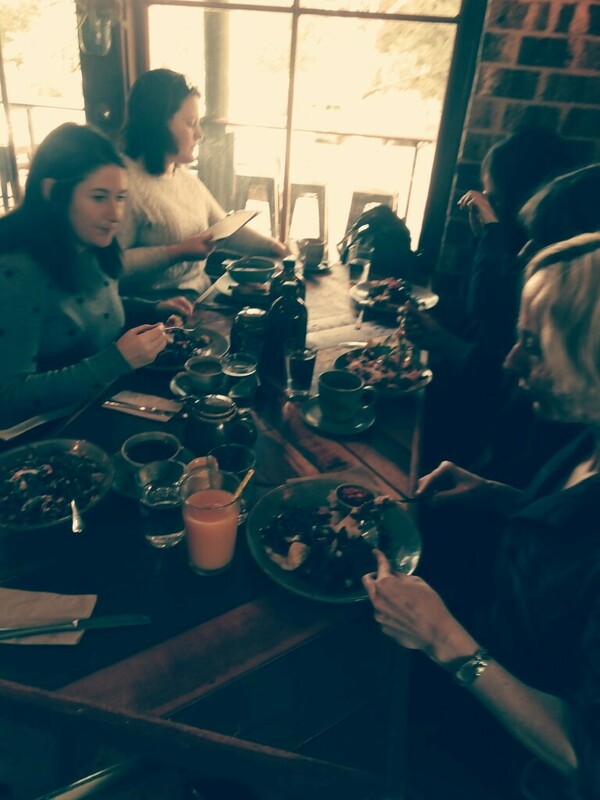 It offers a relaxed, casual, homely venue for dining with friends and family. 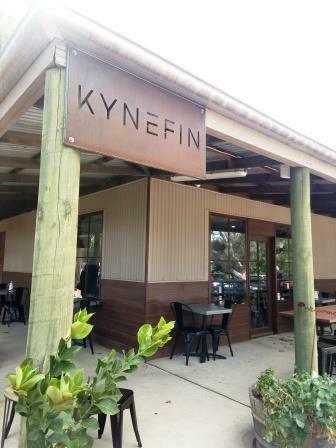 Kynefin offers breakfast and lunch from Wednesday to Sunday. They are open from 7am-4pm on Wednesday-Saturday, and 8am-4pm on Sunday. Please note that the kitchen closes at 2pm each day. Kynefin is located at 2-4 Victoria Street, Hall. For breakfast or lunch bookings, please call 02 6230 9777. When: Open Wednesday to Saturday 7 - 4pm, Sunday 8 - 4pm. Kitchen closes at 2pm each day.